But for himself he’s just telling you to shut the f*ck up. Neither break ups of long term committed relationships …but there are two key elements that put divorce at the pinnacle of human relationship ruptures, just second to funerals. First one is the obvious legal frame and the money expenditure. Which is a mess. If the couple didn’t get a prenup, there will be blood. It also depends on how the break up was framed. If there can be civilized communication, no grudges held, and acceptance of the situation by both parties, then the chances for a healthy transition from marriage to divorce, is much more fluent. Many times it’s just not the case. And as a well oiled machine, friends, peer pressure, the whole society and divorce attorneys not only stir this emotional, grieving cauldron of misery that the now, ex-couple, have to deal with … some make a considerable profit from it. Marriage and the hard and unpaved path of divorce, at the way we can see it nowadays, is an industry by itself. Everything that surrounds that dreamed, theatrical and magical night has a price. From the diamond ring, to the flowers, banquet, church ( or synagog, mosque, ) rental fees …According to research firm IBISWorld Wedding industry revenues are expected to exceed $50 billion in the U.S. this year. According to a study released by Andrew Francis and Hugo Mialon, Professors in the Department of Economics at Emory University in Atlanta, the more you spend on an engagement ring and wedding ceremony, the shorter the marriage. Same for the amount couples spend on the wedding, spending more than $ 20,000 on a wedding (excluding the cost of the ring) are 46% more likely than average to get divorced. 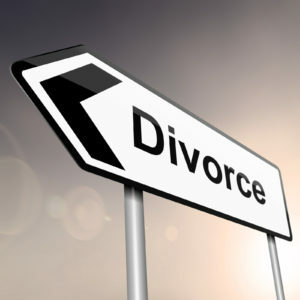 Researchers estimate divorcing individuals would need more than a 30% increase in income, on average, to maintain the same standard of living they had prior to their divorce. But laying money aside, and the concepts of romantic love and marriage, the second reason, the one that probably devastates the person much more than the money and love loss is the altered perception of the Self. A marriage is a commitment, and it’s extremely powerful for three reasons: the commitment itself, the second because it’s done in front of witnesses and the third reason is because it’s a written commitment. The principle of Commitment of Consistency is a powerful behavioral principle that has been with human kind ever since we had gills. Consistency is something we do in order to spare our brains to go over the thousands of decision making events we face every day. According to Dr. Robert Cialdini in his book Influence, consistency is powerful a motive. Inconsistency is always seen as a bad personality trait to have, the person whose beliefs, words and deeds don’t match may be seen as indecisive, confused, two faced, or even mentally ill.
On the other side, high levels of consistency are perceived and associated with people of high intellect and personal strength. Without consistency our lives would be difficult, erratic and disjointed. Like most other forms of automatic responding, it offers a shortcut through the density of modern life. Once we have made our minds about an issue, stubborn consistency allows us some luxuries … we really don’t have to think about those issues anymore. The automatic response mechanism start to take over. We don’t have to spend the mental energy required to analyze the information, the pro’s and con’s about something, we don’t have to decide anything anymore. All we have to do is press play and we know what to believe, say or do. Whatever that is, while being consistent with what we’ve already done and committed to do. But as consistency can prove itself to be a powerful dictator of human behavior, is the commitment, that sets the wheels in motion. As Cialdini writes “Once an active commitment is made, then, self-image is squeezed from both sides by consistency pressures. 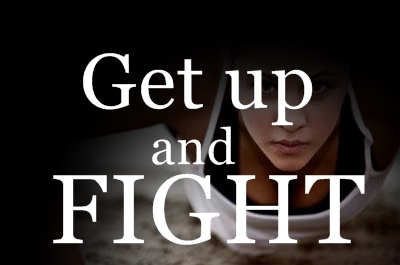 From the inside, there is a pressure to bring self-image into line with action. From the outside, there’s a sneakier pressure – a tendency to adjust to the way others perceive us. And because others see us as believing what we have written (even when we’ve had little choice in the matter), we will once again experience a pull to bring self-image into line with the written statement” and as far as witnesses is concerned, he writes “the more public a stand, the more reluctant we will be to change it”. So when a couple decides that the relationship is going nowhere, the person faces the harsh consequences of inconsistency. All the dreams, the family, the white picket fence, and the happily ever afters, suddenly come crushing down and the self image that the person formed with that public, written commitment and molded through years of unconscious consistency is no longer available. 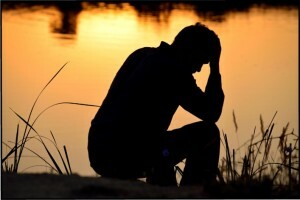 That pain, that severe separation from that self-image is what makes divorce an extremely hard experience. That is also the reason why many couples, despite the fact that they may be completely dysfunctional, even in the presence of physical and emotional abuse, remain together. Because appear inconsistent is much more terrifying than the actual departure from the relationship. 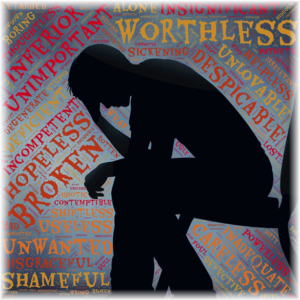 The disengagement of the self image that the person built is the responsible for the majority of the pain surrounding the experience of divorce. And that includes the children which are the ones who are more deeply affected by the event. But in order to be that supportive, present and loving father after the divorce, the persons has to help himself before helping others. Including his children, and by all means too, his ex-wife. When the old self image is shattered, the key is to frame, as quickly as possible, and resorting to all available tools, as an opportunity to develop a new, more successful, understanding, wiser and experienced self image. And although this may sound easy, it is not. But the person hasn’t got more choices. Either does nothing and quietly accepts the downward pull of Life, or he stands up and fights with whatever means he has, if he wants a rewarding experience on this Rock. 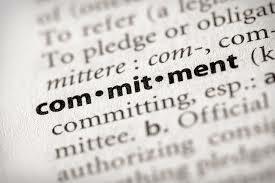 Although it may sound ridiculous, the person has to address to our old pals: commitment and consistency. Acceptance of the new situation, partnered with commitment to a new self-image, consistency on developing and molding this new self image, all seasoned with speed of implementation and all framed as an opportunity to develop a richer, more fulfilling Life. Divorce is a failure in all the meaning of the word, but the way the person frames the failure is also key. The failure has to be framed as an opportunity. There’s no point of delving in the past or in the goals that were once planned. There’s no use for blaming the other party for the “wasted” time or undelivered plans and dreams. The clock is ticking and there’s no time to waste. We are only once in this planet orbiting through space, and experiences like a divorce, as hard as it could’ve been, can only teaches us how to become better, wiser and more appreciative of life and all its blessings. All lessons must be learned. The only frame of mind that is useful while digging in the past – which is not advisable, but unavoidable – is what can I learn from that experience, while being completely self centered, and this self centrism is because there’s no use learning about the experience itself, or about the partner at the time, but the only valuable – and better put – invaluable lessons, are the ones the person can learn about himself. The path from divorce is hard, unpaved and uncomfortable, but depending on how the person reacts to it, it can be enlightening, empowering and fulfilling. I salute all men who are transiting this hard road, because it takes guts to surrender to the metaphorical and ethereal modern concept of love and romance, it takes guts to commit to a marriage despite all the present evidence that 1 out of 2 couples won’t be together after three years, and it also takes guts to stand up, look at the reflection in the mirror, accept and learn how to love and appreciate unconditionally the guy looking back from the mirror … after all dreams, goals and manufactured concepts of love and family are, at least temporarily, turned to dust. This entry was posted in Dating, Personal Development by admin. Bookmark the permalink.